13 May 1938 Provisional committee founded. 23 Aug 1948 World Council of Churches (WCC) formally constituted. c.60 Church of Rome founded by the Apostle Peter (Saint Peter). the "Babylonian Captivity" of the Church). 30 Sep 1378 - 11 Nov 1417 The Great Schism in the Western Church (rival popes elected). 10 Jun 1809 - 24 Mar 1814 Papal State annexed to France. 7 Jun 1929 Independence of Vatican City from Italy. (c) from 1 Mar 2006: "Bishop of Rome, Vicar of Jesus Christ, Successor of the Prince of the Apostles, Supreme Pontiff of the Universal Church, Primate of Italy, Archbishop and Metropolitan of the Roman Province, Sovereign of the State of the Vatican City, Servant of the Servants of God." 26 Nov 1740 Patriarchate established. 6 Jul 1963 Eparchy of Pittsburgh of the Ruthenians. 21 Feb 1969 Metropolitan See of Munhall of the Ruthenians. 11 Mar 1977 Byzantine Catholic Metropolitan Church of Pittsburgh. 1552 Rival Assyrian Patriarch accepts union with Rome. 1607 Regular Assyrian Patriarch Eliyya VIII also accepts union. 1617 Heir of Eliyya VIII breaks union. 4 Aug 1741 Apostolic Vicariate for Coptic Catholics created. 30 Aug 1831 his successors are again only named apostolic vicars. 26 Nov 1895 Patriarchate restored. 17 Jun 1777 Diocese of Križevci created. 1966 See transferred to Zagreb. 8 Jun 1912 Diocese of Hajdúdorog created. 1182 Formally confirms union with Rome. 1 Dec 1948 Church outlawed. 31 Dec 1989 Church re-legalized. 28 Aug 1949 - 16 Jan 1991 Church outlawed. 26 Jun 1599 St. Thomas Christians are included in the Catholic church. 16 Dec 1992 Rank of Major Archbishop (head of the church) created. 26 Sep 1808 Metropolis of Lviv established in Austria-Hungary. 1 Dec 1989 Church re-legalized. 21 Aug 2005 Metropolis moved to Kiev. 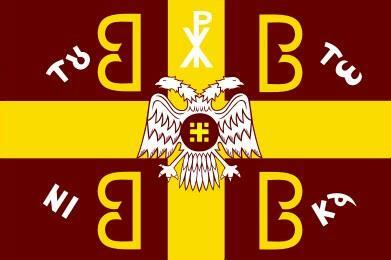 Byzantine-Rite Albanians directly subject to the Holy See. Grottaferrata [Italo-Albanese]), directly subject to Holy See. directly subject to the Holy See. from the Old Catholic Church of the Mariavites. 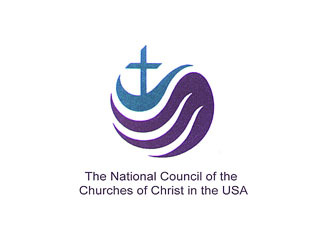 Oct 1916 North American Old Roman Catholic Church (NAORCC) founded. independent but cooperating jurisdictions are established. as an independent body (Old Catholic Church of Canada)(OCCA). 2007? Renamed Community Catholic Church of Canada (CCCC). 1967 Congregation of Mary Immaculate Queen (CMRI) founded. 27 Sep 1540 Society of Jesus (Societas Iesu) founded. 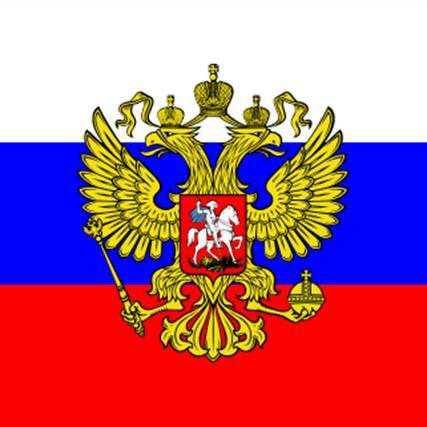 in Russia approved by Papal decree 7 Mar 1801). Guy de Lusignan, King of Jerusalem. (recognized by Pope Innocent III as such on 19 Feb 1199). 1211 - 1225 Active in Transylvania against the pagan Qypçak (Kumans). control of Courland and Livonia (see under Latvia). Prussians on behalf of the Empire. sold to the Order in 1228. 1271 Montfort lost, seat of the Grand Master moved to Akko/Acre. upon the conquest of Akko 18 May 1291.
of Marienburg 19 Oct 1466, the seat is moved to Königsberg. 16 Dec 1526 Seat of the Grand Master is moved to Mergentheim. distributed among the neighboring German sovereigns. line of the Imperial House of Austria. annexed to annexed to Frankfurt (from 24 Apr 1810, Württemberg). order in Prussia (only the possessions in Austria remain). declared to be an "Autonomous, Religious and Military Institute"
Hoch- und Deutschmeister (confirmed by imperial patent Jun 1840). - Deutscher Orden - German Order). 6 Sep 1938 - 1947 Order is dissolved in Austria by Germany. (c) from 1929: Hochmeister des Deutschen Ordens. Protector of the Church and Clergy of England." 5 May 1554 - 8 May 1559 National restoration of Roman Catholic Church. Roman Catholic church (revised 1571). Note: The Council's 38 member communions include Mainline Protestant, Orthodox, African American, Evangelical, Josephite, and historic peace churches in the United States. 29 Nov 1950 National Council of the Churches of Christ in the U.S.A.
1918 United Lutheran Church in America (UCLA) founded. Evangelical Lutheran Church to form Lutheran Church in America. 1 Jan 1988 Merged into Evangelical Lutheran Church in America. 1 Oct 1896 United Danish Evangelical Lutheran Church founded. 1946 Renamed United Evangelical Lutheran Church. 1960 Merged with other Lutheran groups to form American Lutheran Church. 1917 Norwegian Lutheran Church of America (NLCA). 1946 Renamed Evangelical Lutheran Church (ELC). 1960 Merges into the American Lutheran Church. Jun 1897 Lutheran Free Church established. 1 Feb 1963 Merges into the American Lutheran Church. Synod, Buffalo Synod and Joint Synod of Ohio. 1960 Three Lutheran groups merge to form the American Lutheran Church. 1 Jan 1988 Merged into the Evangelical Lutheran Church in America. 1964 Renamed Association of Free Lutheran Congregations. 1947 Renamed The Lutheran Church-Missouri Synod. 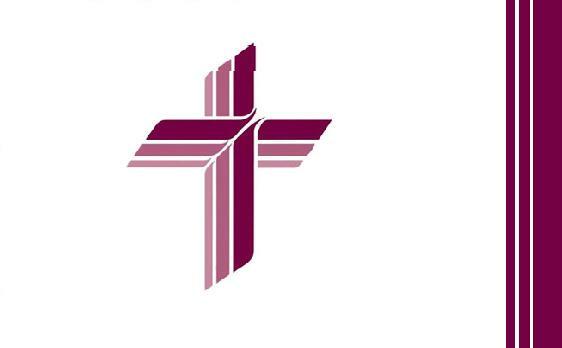 Synod to form Association of Evangelical Lutheran Churches. (Eesti Evangeelne Luterlik Kirik) formed. (Eesti Evangeeliumi Luteriusu Kirik) formed. 13 Nov 2010 United with the Evangelical Lutheran Church of Estonia. 6 Apr 1830 Joseph Smith founds the (Mormon) Church of Jesus Christ. Jun 1852 Reorganized as Church of Jesus Christ of the Latter-day Saints. 6 Apr 1860 Reorganized Church of Jesus Christ of Latter-day Saints. 6 Apr 2001 Renamed Community of Christ. 8 Jan 1920 Split from Roman Catholic Church. majority; Czechoslovak Church (Církev Československá). Mar 1939 - 1945 Church is abolished in Slovakia and Ruthenia. 1872 International Bible Students Association. 13 Dec 1884 Zion's Watch Tower Bible and Tract Society. 22 Sep 1896 Watch Tower Bible and Tract Society. 8 Jul 1931 Jehovah's Witnesses. by 1844. Movement is called "Millerism." for the second coming of Christ passes. Sep 1860 Name Seventh-day Adventist selected. 21 May 1863 Seventh-day Adventist Church formed. 18 Mar 1884 The Church of God (Seventh-day) splinter group formed. 5 Jul 1865 Salvation Army founded. Oct 1933 Radio Church of God founded. 5 Jan 1968 Renamed Worldwide Church of God. 3 Apr 2009 Renamed Grace Communion International. Reformed Church and the Congregational Christian Church. Note: In the Orthodox Church there are 15 independent (autocephalous) church units, each with its own patriarch, archbishop, or metropolitan. In the traditional order of honor amongst the Orthodox churches (that is, the order through which their primates are mentioned in the liturgy when more than 3 metropolitans are present), they are: Constantinople, Alexandria, Antioch, Jerusalem, Russia, Serbia, Romania, Bulgaria, Georgia, Cyprus, Greece, Poland, Albania, Czech and Slovak Republics, and America. The Church of Constantinople and its patriarch have only a status of "first among equals", nothing more (this status means nothing more that he is the president of all Orthodox conferences), but he has no kind of power over other church units, he is the leader of only his own church unit, the Church of Constantinople. c.36 Church of Byzantium founded by the Apostle Andrew (St. Andrew). 1 May 330 Inauguration of Constantinople (foundation stone set 3 Nov 324). Orthodox Churches), which is rejected. ¹The Ecumenical Patriarch is also officially the "Spiritual Leader" of the "Autonomous Monastic State of Ayion Oros", (also styled "Athonian Republic"), that is, he is the Head of that Autonomous State, which itself is part of Greece. should take the place of Ieremias as Patriarch. Subsequently, Ieremias went into hiding. let Ieremias continue as Patriarch. c.43 Church of Alexandria founded by the Apostle Mark (St. Mark). c.44 Church of Antioch founded by the Apostle Peter (St. Peter). ¹When Grigorios IV died in Dec 1928, the Holy Synod deadlocked, eventually splitting into two factions. The larger section elected Arsenios II (s.a.), the smaller one Alexandros III (s.a.). They reconciled briefly in 1931, the factions agreeing that both men would be considered valid patriarchs until one of them died. However, Arsenios died in 1933 and is now considered an anti-patriarch for that period. Another member of his faction, Epiphanios, was elected his successor as patriarch in 1935, but eventually resigned his title and rejoined the Holy Synod. ²The number X adopted by this patriarch appears to be based on a rather erroneous list showing the last holder of his name as IX. As the latter was patriarch in the 12th century, the facts are obscure; however, studies by Venance Grumel ("Les patriarches grecs d'Antioche du nom de Jean" [Echos d'Orient 1933] and "Jean ou Denys? Note sur un patriarche d'Antioche" [Revue des études byzantines 1951]) indicate that the correct number of the patriarch of 2012 would be VI or VII. c.44 Church of Jerusalem founded by Apostle James (St. James). 988 Metropolis of Kiev founded. 1318 See transferred to Moscow. 2 Feb 1589 See elevated to Patriarchate by Constantinople. 10 Sep 1917 Patriarchate restored. ²Full titles: Metropolitans of Moscow and Vladimir (1742-1748); Metropolitans of Moscow and Sevsk (1748-1764); Metropolitans of Moscow and Kaluga (1764-1799); Metropolitans of Moscow and Kolomna (1799-1917). (also called Russian Orthodox Church Abroad). with the Russian Orthodox Church. 16 Aug 1219 Autocephaly granted by Constantinople. 11 Apr 1346 Unilateral elevation of See to Patriarchate (of Peć). 1379 Patriarchate recognized by Constantinople. 30 Jun 1459 Patriarchate abolished by Constantinople. 1557 Patriarchate restored by Constantinople. 22 Sep 1766 Patriarchate abolished by Constantinople. 29 Aug 1831 Autonomy restored by Constantinople. 1 Nov 1879 Autocephaly restored by Constantinople. 12 Sep 1920 Patriarchate restored by Constantinople. 1710 Autonomy granted by Patriarchate of Peć. 12 Sep 1920 Autocephaly abolished; merged with Serbian Church. 15 Dec 1864 Unilateral declaration of autocephaly. 7 May 1885 Autocephaly recognized by Constantinople. 4 Feb 1925 See elevated to Patriarchate by Constantinople. and creation of a united church in Romania. 911 Unilateral elevation of See to Patriarchate (Preslav). 927 Patriarchate recognized by Constantinople (Dristra). 971 Patriarchate abolished by Constantinople. 976 Unilateral elevation of See to Patriarchate (Ohrid). 1018 Patriarchate abolished by Constantinople. 11 Mar 1870 Unilateral establishment of Autocephalous Exarchate. 22 Feb 1945 Autocephaly recognized by Constantinople. 10 May 1953 Unilateral elevation of See to Patriarchate. 1 Aug 1961 Patriarchate recognized by Constantinople. 4 Jul 1996 - May 2010 Bulgarian Orthodox Church - Alternative synod, in dissidence. 467 Autonomy granted by Antioch. 750 Autocephaly granted by Antioch. 1008 Adoption of the Catholicos-Patriarch title. 12 Jul 1811 Patriarchate abolished by Russia. 25 Mar 1917 Patriarchate restored. 31 Oct 1943 Autocephaly recognized by Russia. 3 Mar 1990 Patriarchate recognized by Constantinople. c.1470 Autocephaly granted by Antioch. 1814 Merged into Georgian Exarchate by Russia. 30 Jul 431 Autocephaly granted by Antioch. 1260 Abolition of Orthodox hierarchy by western rulers. 1571 Restoration of Orthodox hierarchy. 4 Aug 1833 Unilateral declaration of autocephaly. 11 Jul 1850 Autocephaly recognized by Constantinople. 31 Dec 1923 See elevated to Archdiocese. 1921 Semi-autonomy granted by Russia. 13 Nov 1924 Autocephaly granted by Constantinople. 22 Jun 1948 Autocephaly recognized by Russia. Patriarchate of Constantinople to Archdiocese of Ohrid. 23 Sep 1922 Unilateral declaration of Autocephaly. 30 Mar 1937 Autocephaly recognized by Constantinople. 22 Nov 1967 - Nov 1990 Religious practice outlawed in Albania. 3 Mar 1923 Autonomy granted by Constantinople. 27 Sep 1942 - May 1945 Outlawed by German occupation authorities. 23 Nov 1951 Autocephaly granted by Russia. 27 Aug 1998 Autocephaly recognized by Constantinople. 1872 See transferred to San Francisco. 1905 See transferred to New York. 2 Apr 1924 Unilateral declaration of autonomy. 1567 Autonomy under Patriarchate of Jerusalem. Sep/Oct 1766 Autocephaly proclaimed (recognized only by Russian Church). 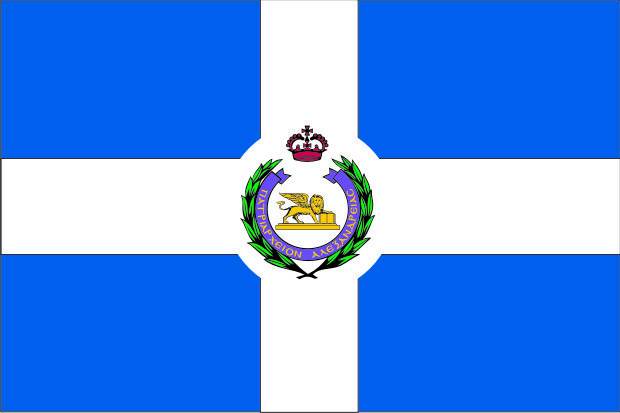 (Orthodox Metropolitanate of Montenegro and the Littoral). within the Russian Orthodox Church. 26 Nov 1918 Unilateral declaration of autonomy. Feb 1921 Autonomy under Russia. 7 Jul 1923 Autonomy under Ecumenical Patriarchate. 7 May 1957 Russia recognizes autonomy under Ecumenical Patriarchate. 28 Jun 1920 Autonomy under Russia. 30 Mar 1941 Autonomy abolished by Russia. 30 Jun 1941 Autonomy under Ecumenical Patriarchate restored. 9 Mar 1945 Autonomy abolished by Russia. 13 Apr 1978 Autonomous status deemed inactive by Constantinople. 24 Feb 1996 Autonomy under Ecumenical Patriarchate restored. 6 Jul 1921 Autonomy under Russia. Feb 1936 Autonomy under Ecumenical Patriarchate. 20 Jul 1941 Autonomy under Ecumenical Patriarchate restored. 15 Jul 1942 Autonomy abolished by Russia. 2 Jul 1861 Nicholas arrives in Japan as a simple priest. 19 Apr 1907 A Russian Orthodox diocese is founded in Tokyo. 6 Apr 1941 - 10 Aug 1945 Parallel hierarchy (Soviet Union/Church in America). 1 Nov 1946 Part of the Orthodox Church in America. 1686 First Orthodox community established in China. 23 Feb 1596 United with Roman Catholic Church by Union of Berestia (Brest). 1620 Metropolitanate of Kiev re-established by Constantinople. 1686 Formal subjugation of Kiev Metropolis to Moscow Patriarchate. 1721 Autonomy abolished by Russia. 1 Oct 1990 Autonomy under Russia. recognized Metropolitan Onufriy or Russia)(see Ukrainian Church). Patriarchate established by Byzantine Emperor Vasilios II. 27 Jan 1767 Autocephaly abolished by Constantinople. 6 Oct 1958 Autonomy under Serbia. (see Macedonian Orthodox Church-Archbishopric of Ohrid). 24 May 2005 Autonomy under Serbia (Macedonian Orthodox Church). 27 Oct 1900 Semi-autonomy under Ecumenical Patriarchate. 28 Feb 1967 See elevated to Archdiocese.